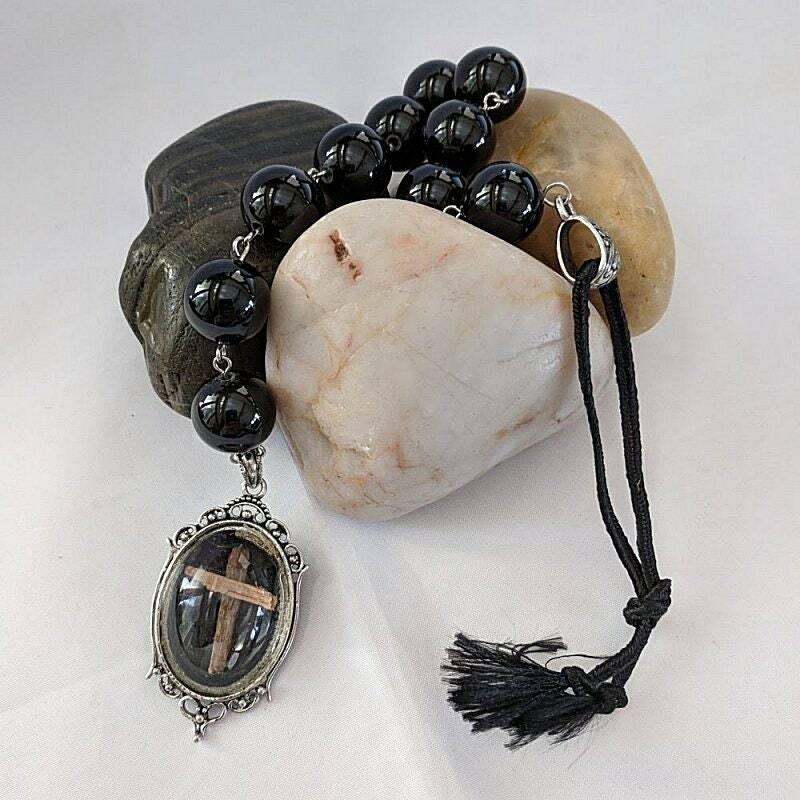 This paternoster has ten 15mm onyx beads and a glass pendant containing pieces of wood to represent the relics sold as "pieces of the true cross." 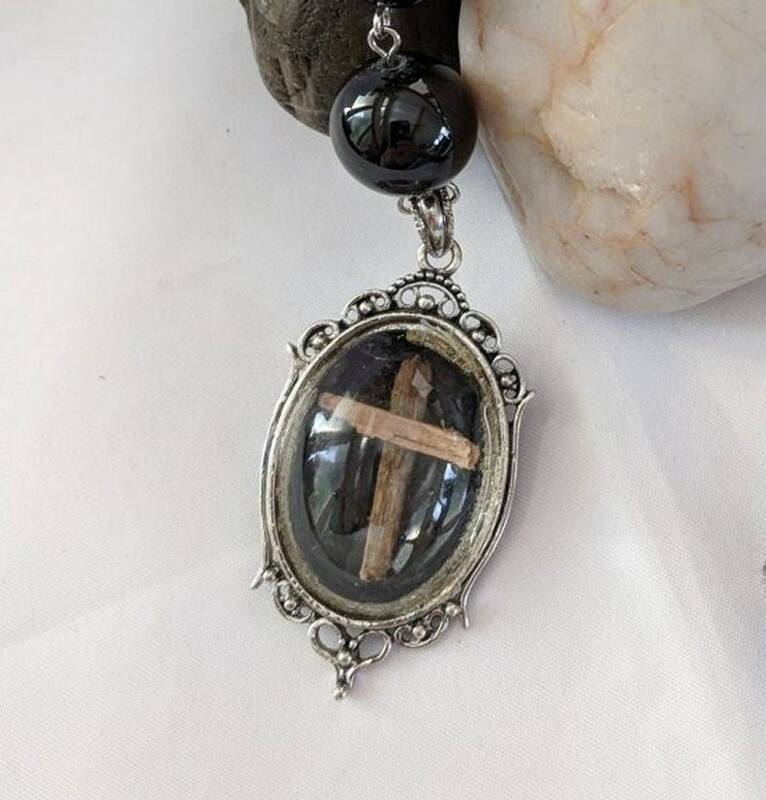 Our pendant made of silvertone metal has a glass dome front and black suede back. Some of the epoxy used to hold the glass on to the pendant shows around the edge of the glass. It measures approx. 1 3/4 inches (45mm) in height not including the bail and is approx. 1" (27mm) wide. The overall length of the tenner is 10 1/2" not including the hanging cord. 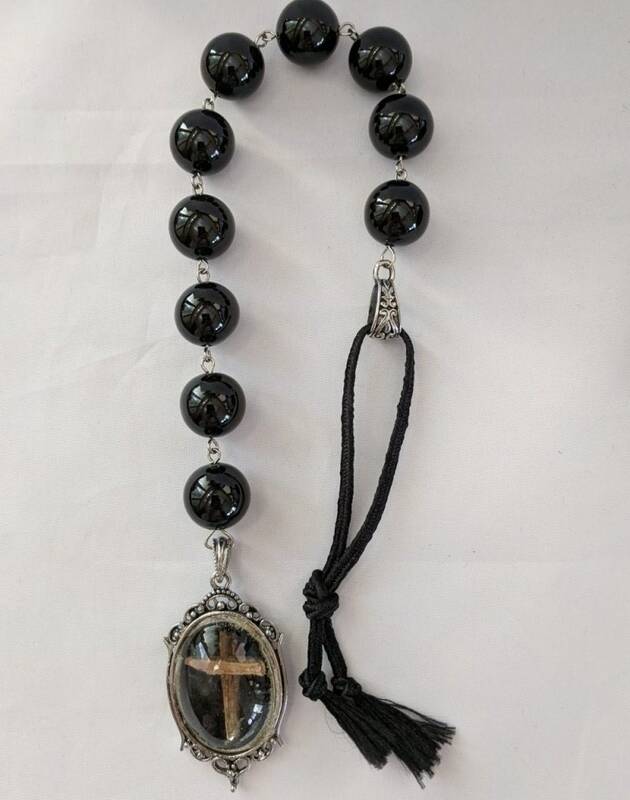 Shipped in a black pouch via USPS Priority Mail so that it is insured and will arrive in 2-3 days once the package is posted, plus you can track it on-line. NOTE: This is not a real relic! Many relics in period were fake as it was a popular joke that there were no tress left in the holy land because every crusader came home with a piece of the cross. Among many of the extant pendants with wood inside is one belonging to Charlemagne that is in the Cathedral Treasury, Rheims.